Accept direct credit card payments from all major credit card companies, including Visa, MasterCard, Discover and American Express. 4. 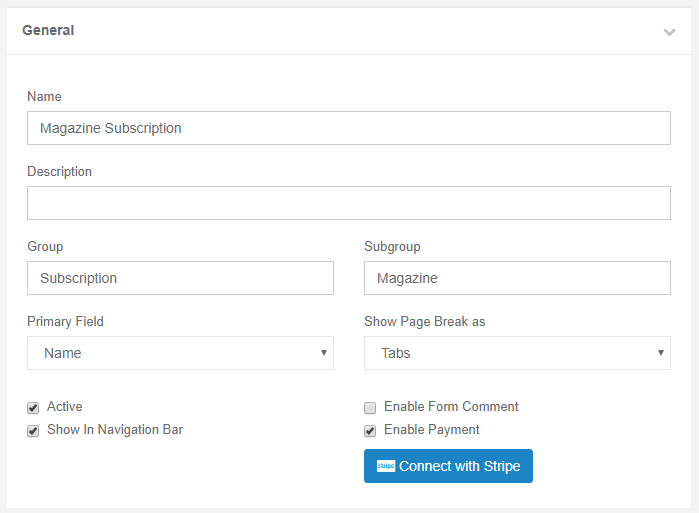 Once your Stripe account is connected with your Captisa Forms account, go back to form builder. 5. 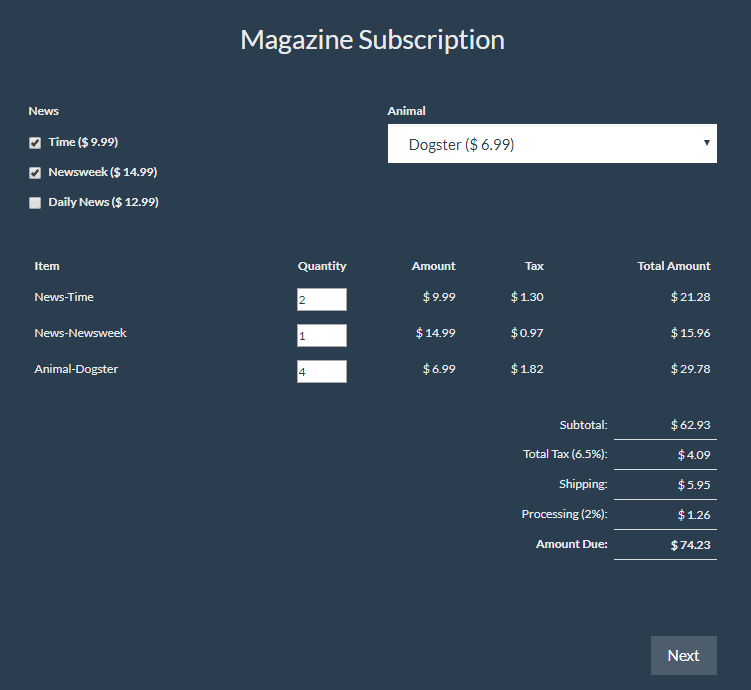 Add Checkbox, Dropdown, Multiple Choice, or Money control to your form. 6. On property tab, check 'Billable'. 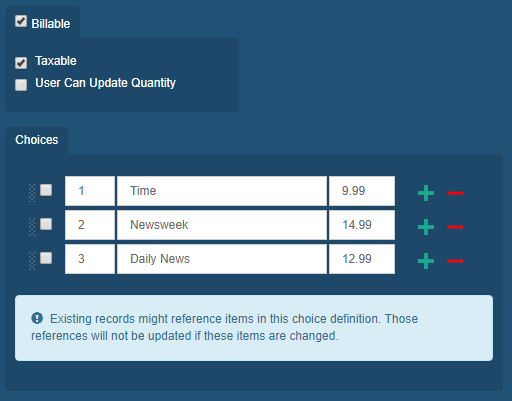 You have the option to assign price, allow user to update order quantity, or set if the product is taxable. 6. 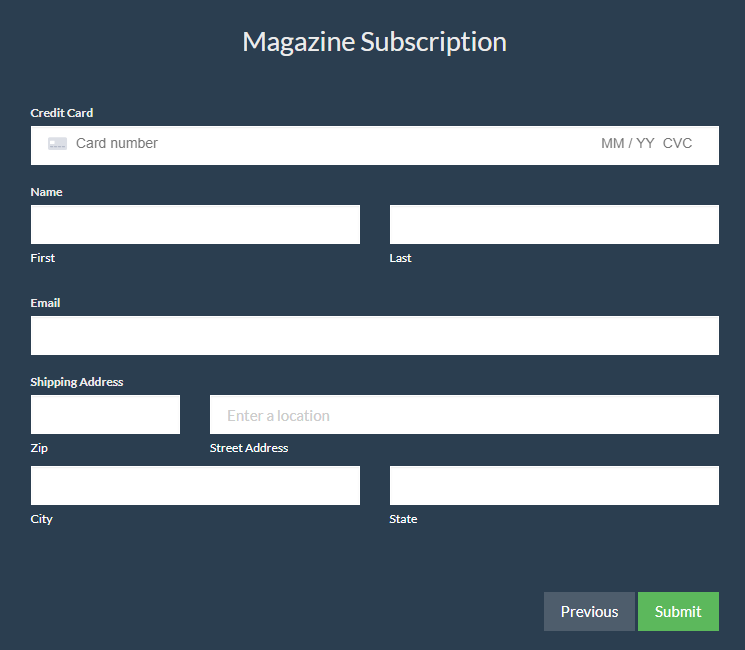 Add Credit Card control into the form. You have the option to specify email, billing and shipping information. 7. 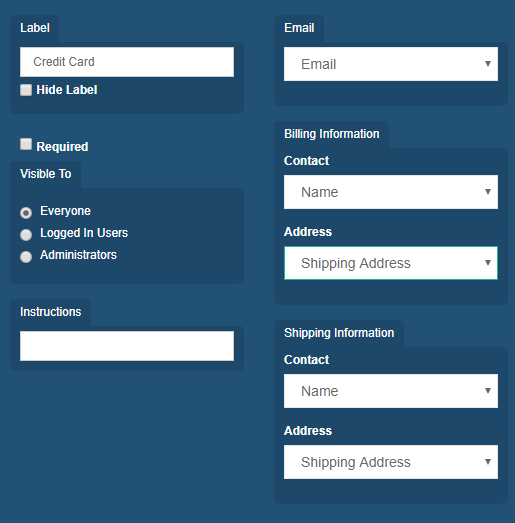 Add Order Summary control into the form. 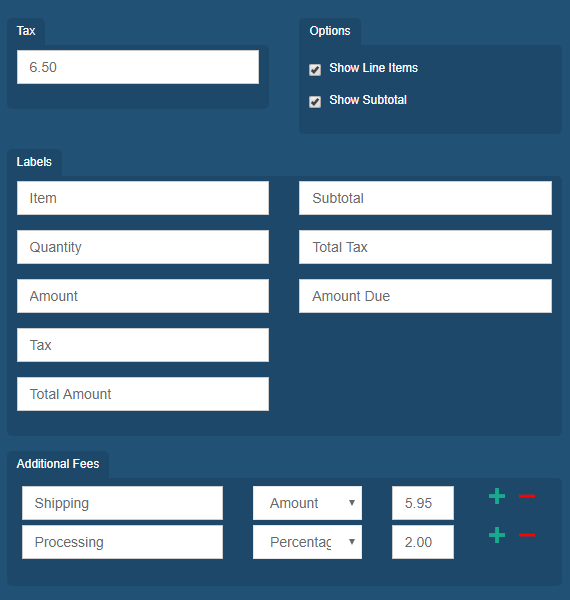 You have the option to setup additional fees, tax, change labels, show order items and subtotal.